Maduro claimed that Colombia was deeply involved in the assassination plot, and said that an unnamed Colombian paramilitary chief had been captured within the borders of the country "and is giving testimony." While AFP didn't provide the Colombian paramilitary chief's identity, we believe his name is Wilfrido Torres Góme, "one of the chiefs of Assassins entered x the far right from Colombia. Requested with code blue x Interpol x Homicide and killings," Information Minister Jorge Rodriguez tweeted (Translated from Spanish by Microsoft). 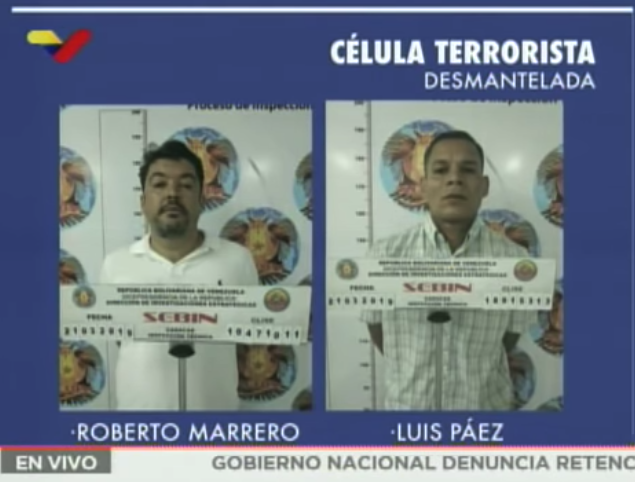 The Maduro regime presented new evidence over the weekend of the alleged plot on state television, with Rodriguez stating that "hitmen" from El Salvador, Guatemala and Honduras had been recruited "using big sums of money" and were sent to Colombia ahead of "targeted assassination" missions. Rodriguez said Guaido's chief of staff, Roberto Marrero, was bankrolled by Washington and is one of the point men behind the alleged plot. Marrero was arrested last week in his Caracas home, triggering an international outcry and demands from the Trump administration of an immient release. U.S. Vice President Mike Pence said the administration "will not tolerate" the continued detention of Marrero. 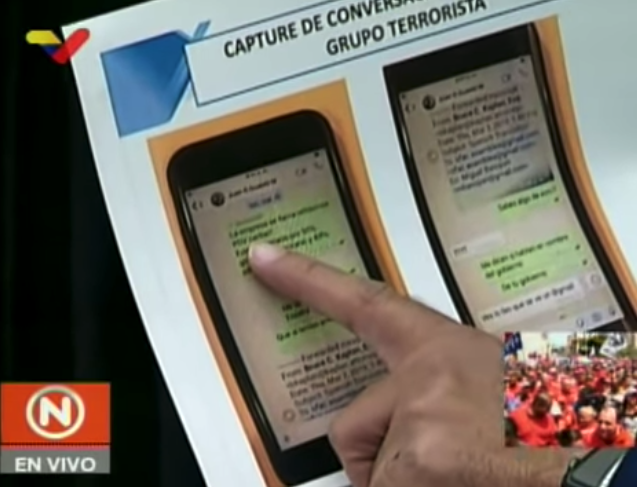 Hours after last week's arrest, Maduro's government showed several pictures of weapons it said special forces discovered in Marrero's home, claiming that he was part of a "terrorist cell." Rodriguez played WhatsApp conversations between Marrero and Guaido in which they held various talks about funds blocked by US sanctions to finance mercenaries with the support of Colombian President Ivan Duque. Maduro also repeated the accusations to a crowd of thousands in the capital on Saturday. 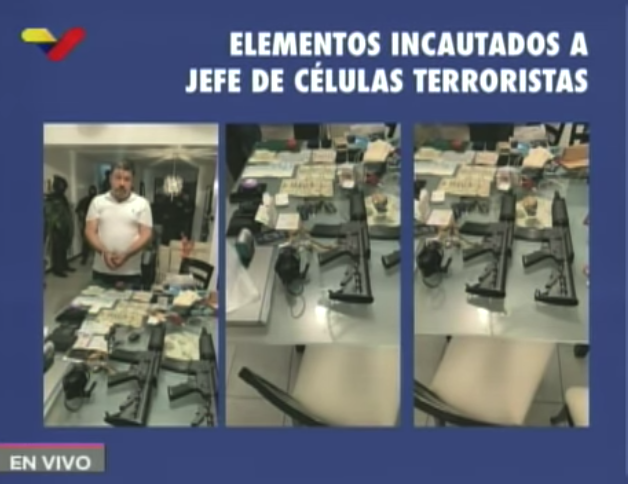 Rodriguez said funds to finance the terror plot were derived from Bank of America and Banesco Panama. Guaido has asked the international community to continue sanctioning the Maduro regime. The Trump administration is expected to increase sanctions on Venezuela this Thursday when sanctions in crude exports will increase. 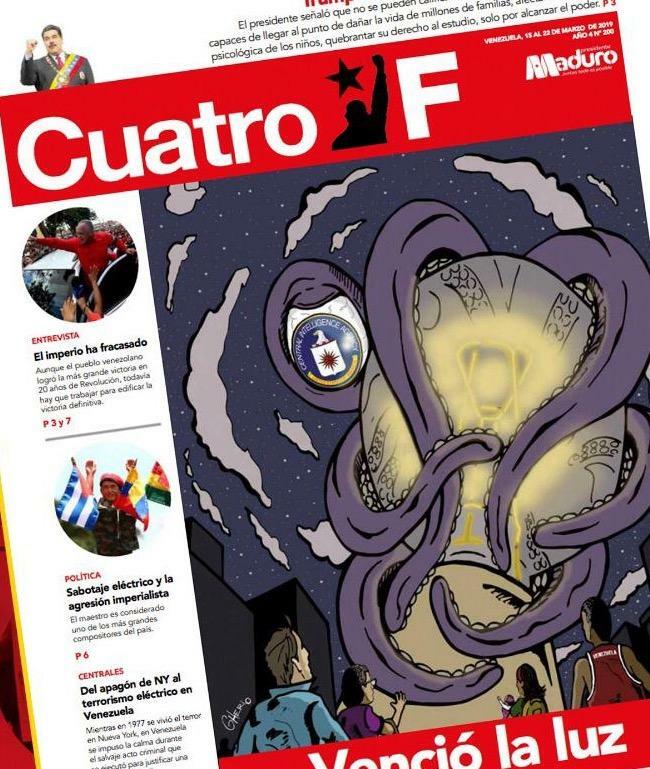 Trump has warned Maduro not to arrest Guaido or his aids, or face the wrath of undefined consequences. With Trump indicating "all options are on the table" -- it seems that Washington is ready for a military intervention in the country, but for that to play out, terror cells allegedly funded by the US must first take out Maduro.